This Tortellini Italian Salad is as beautiful as it is delicious. It comes together quickly and the only cooking involved is boiling the tortellini, making it perfect for the busy party host, or for those hectic weeknights. 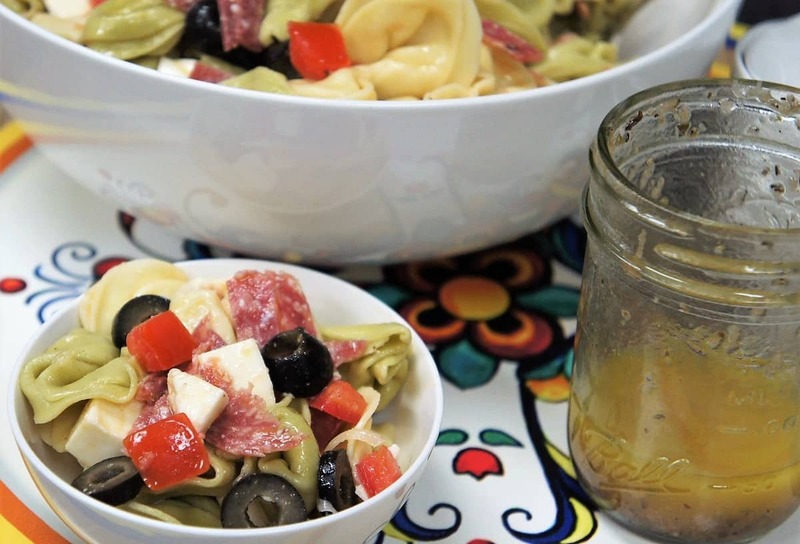 Top off this pasta salad with a super-easy homemade dressing to add that special touch. This pasta salad will be a hit at your next party, so grab a plate and get some before it’s gone. 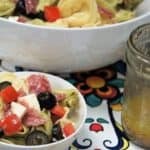 If you’re looking for more pasta salad recipes check out this quick and easy garden pasta salad, or this Italian pasta salad. Enjoy! 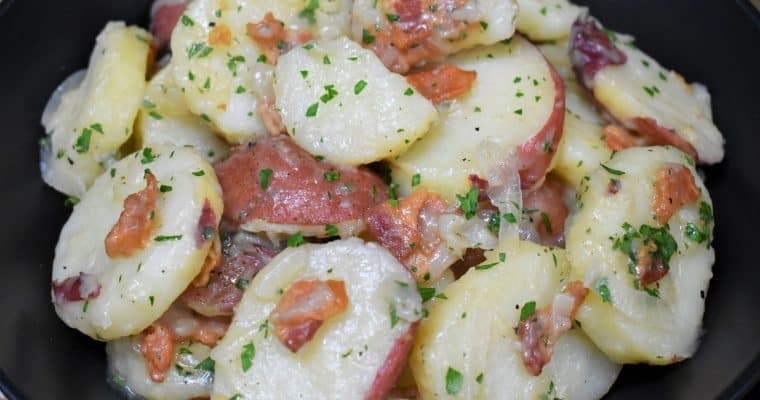 In a small jar, or a container with a tight fitting lid, add the extra virgin olive oil, red wine vinegar, grated garlic, dried oregano, salt, black pepper and crushed red pepper, if using. Cover the container and shake vigorously to mix. Refrigerate until ready to use, stir vigorously before using too. Cook the tortellini to package directions. Drain the tortellini completely, and place it in a large bowl. Add the 1 tablespoon olive oil, toss to keep them from sticking. Give the tortellini a stir once in a while to let the steam escape. Refrigerate the pasta and allow it to cool completely. 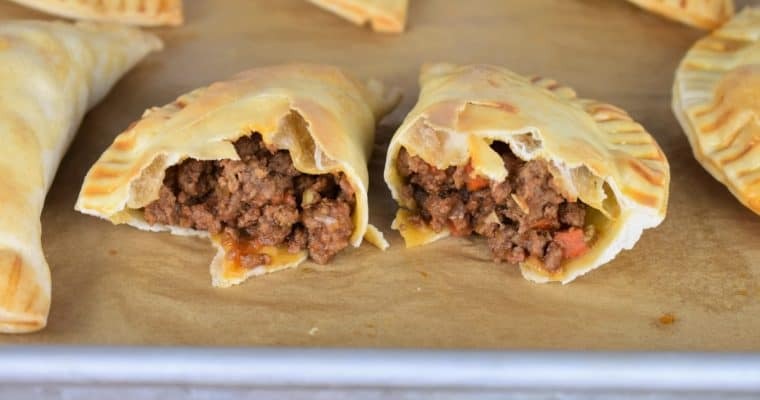 Refrigerate the ingredients until ready to use. When the pasta has cooled completely, add the tomatoes, mozzarella cheese, salami, black olives, onions and the dressing to the tortellini. Add the dressing, use as much or as little dressing as desired. Toss the tortellini salad gently to combine the ingredients. Use a rubber spatula to stir the pasta salad to avoid breaking the delicate tortellini and mozzarella. Refrigerate any leftover dressing it will keep for a couple of days. This Tortellini Italian Salad is as beautiful as it is delicious. It comes together quickly and the only cooking involved is boiling the tortellini, making it perfect for the busy party host, or for those hectic weeknights. Cook the tortellini to package directions. Drain the tortellini completely, and place it in a large bowl. Add the 1 tablespoon of olive oil, toss to keep them from sticking. Give the tortellini a stir once in a while to let the steam escape. Refrigerate the pasta and allow it to cool completely.